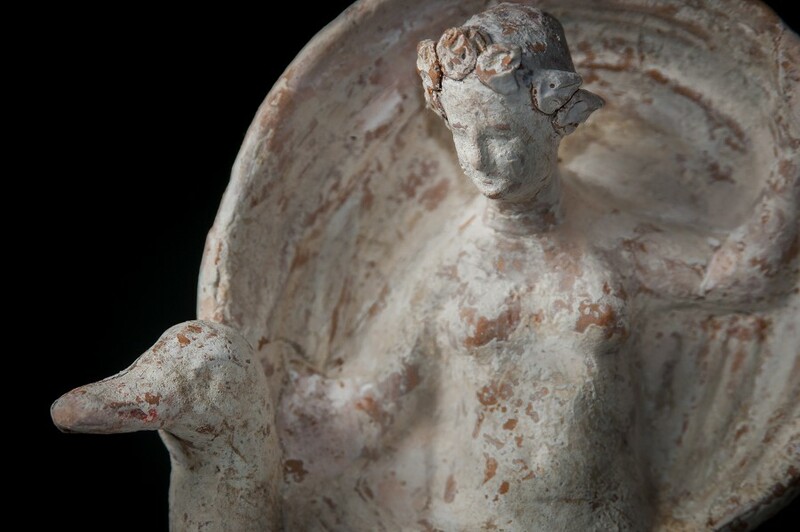 ConditionFine condition, the head of Leda and parts of her peplos are reattached . 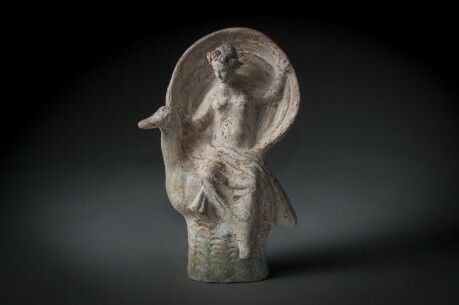 A beautiful piece of art of lady Leda riding a swan. Leda and the Swan is a story in the Greek mythology in which the god Zeus, in the form of a swan, seduces the beautiful Leda. 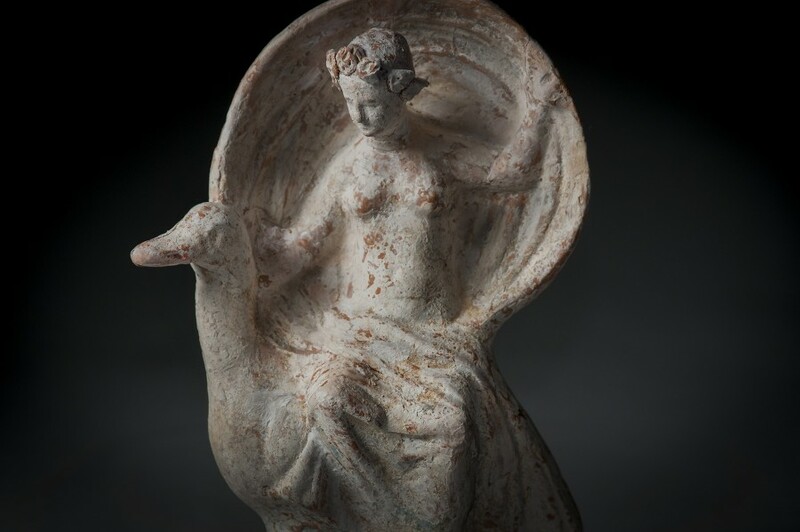 Leda bore Helen (of Troy) and Polydeuces, children of Zeus, while at the same time bearing Castor and Clytemnestra, children of her husband Tyndareus, the King of Sparta.